As President of Zhou Limited Mark Saint Juste oversees and directs the company growth strategy through the utilization of relationships in Asia, North America, South America, Africa and Europe. Since leaving Deerfield Park Elementary School as a fifth grade teacher in 1994, Mr. Saint Juste has worked as a consultant or principle investor in the areas of real estate, commodities trade finance and education, as well as media content (music, film and television) production and distribution. He is graduate of Florida State University where he earned a Bachelors degree in Communications with a minor in Economics. As Vice President of Zhou Limited, Jeremy Xing Liu implements the company investment objectives and also develops new business opportunities as the lead liaisons for all corporate activities in mainland China. 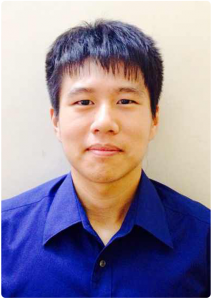 Mr. Liu has previously worked as an independent consultant for a fuel storage development project in Guangzhou, China. He is a graduate of Shenzhen University where he earned a Bachelors degree in Industrial Chemistry. As the former Managing Director of Zhou Limited Security Services Joe Paolella was responsible for the direction, implementation and supervision of all matters related to the protection and risk assessment of corporate personnel and assets. His oversight extended to the background investigation and clearance of prospective business associates and affiliates. Mr. Paolella also oversaw our corporate security mission to discreetly provide the worlds best personal, estate and asset protection service to our elite private clients around the globe. Joe Paolella is a former U.S. Marine and Federal Secret Service agent who personally protected four United States Presidents during his tenure with the agency. Prior to serving in the White House Presidential detail, he worked as an undercover Federal agent investigating and infiltrating organized crime syndicates. Due to his high level clearance and investigative work experience, Joe Paolella was recognized as one of the worlds leading polygraph experts having conducted over 17,000 polygraph tests. Mr. Paolella had no rival in the field of personal protection, security and investigation with a client list that included multiple world leaders, Fortune 500 companies and royal family members. Joe was a graduate of the University of Colorado in Boulder where he earned a Bachelors degree in Psychology. Rest In Peace And Happiness Agent Joe. As Operations Director of Zhou Limited Security Services Arlen Smith is responsible for the direct oversight, supervision and management of all security team personnel. Mr. Smith has extensive experience in law enforcement investigations, risk management and personal protection. He worked over 20 years as a Deputy Sheriff in Los Angeles County and has provided personal protection for the King of Pop Michael Jackson and his family, Robert Kardashian and other Hollywood elite VIP’s. He has also provided corporate security, loss prevention, risk management and investigative services to business entities in both the public and private sectors. 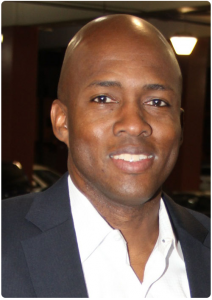 Mr. Smith is a graduate of the California State University of Los Angeles where he earned a Bachelors of Arts degree in Public Administration.